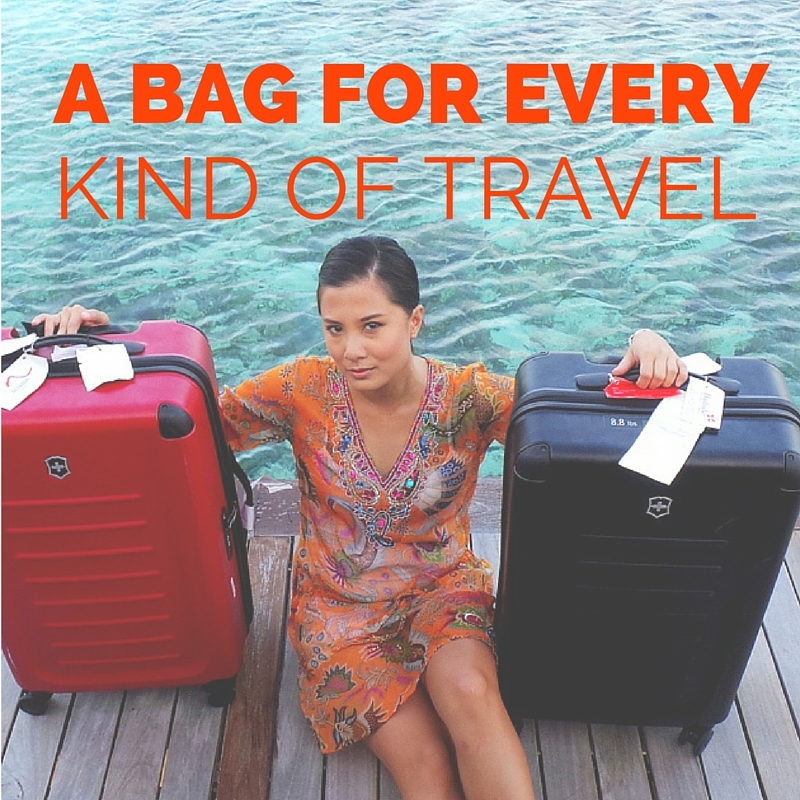 Picking the Right Travel Bag: There's One for Every Travel Occassion! Picking the Right Travel Bag : There’s One for Every Travel Occassion! After you’ve picked your destination, your itinerary, and figured out who you’ll be travelling with, part of the fun in travel planning is picking which travel bag to take! I’m not a shoe, shopping, luxury bag or clothes person. But I seem to amass a collection of luggage / travel bags. I may play favourites from time to time, but I don’t believe there is just ONE luggage for all your travels. Unless you go to the same place for holiday every time, and do the same things every single time, then sadly, yes you may just need one bag. I think the common misconception is that good travel bags are expensive. Well in a way, that is correct. But what I always believe is that what’s good for someone’s travel style may not be the best fit for you. 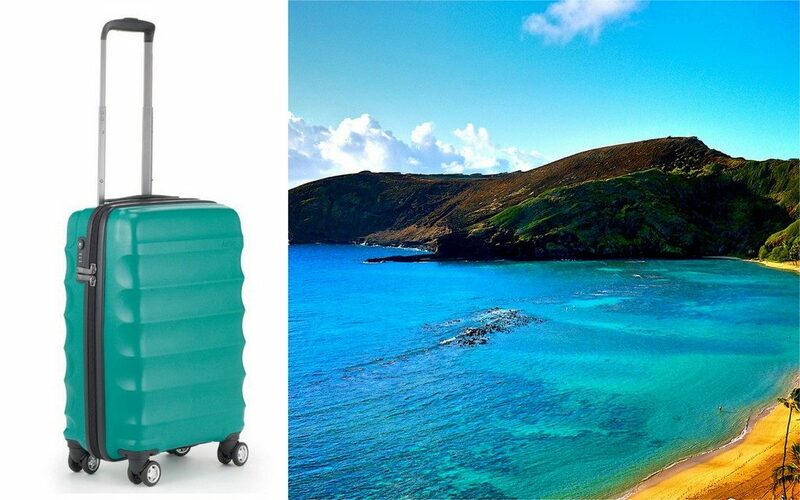 Bags To Go is Australia’s factory outlet when it comes to travel luggage. I could easily spend hours browsing their site and picking this and that bag, matching it in my head to the kind of travel I’ll be taking it to. The best part is, because they are a factory outlet, great travel luggage brands like Victorinox and Samsonite are always on sale, even the latest models. This Samsonite Cosmolite 81cm is the perfect luggage for long-term travel. I recently took this on a 2.5 week trip to Europe, and will be taking it again to Europe later this year for close to 2 months. 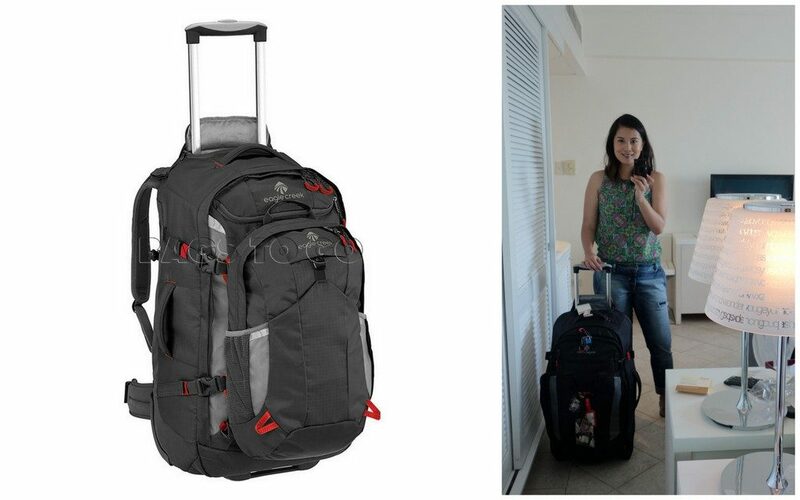 It’s really lightweight, so it’s perfect for packing a lot of things so you won’t go over the airline luggage allowance easily. Another thing is this luggage’s durability. Long term travel usually means lots of transportation involved. This Cosmolite is Samsonite’s lightest and toughest bag, so you can rest assured that it won’t give up or go bust on you mid-way through your long term travel. The Samsonite Cosmolite 81CM is available at Bags to Go for a discounted price of AUD 539.40. Apart from looking cool having his and hers luggage on your honeymoon, there’s another good reason why I picked the Victorinox Spectra 2.0 for this kind of trip. If you go to a resort destination, chances are you will be taking a boat, or even a sea plane to get to your resort. I was glad to have taken these bags when I went to the Maldives. After numerous sea plane and boat rides, bags will inevitably get splashed on, and the hard case definitely sheltered my belongings from sea water. For a 2-week trip to the Maldives, I took the 29 inch. But for a shorter trip, like 5 days to a week, I know some people will prefer a smaller carry-on size, like the Dual Access Carry on Spinner. This is a kind of trip I’ve yet to go on. In fact, I’d never been to Hawaii yet (need to rectify this soon!). But if I were to go on a quick trip to a place like Hawaii for some sun and duty-free shopping, I would most likely take the Antler Juno 56cm. The Juno collection from Antler is fun and bright, available in a lot of colours and just has that “I’m going on a holiday” vibe. I chose this teal colour because it just spells out H-A-W-A-I-I or T-A-H-I-T-I! 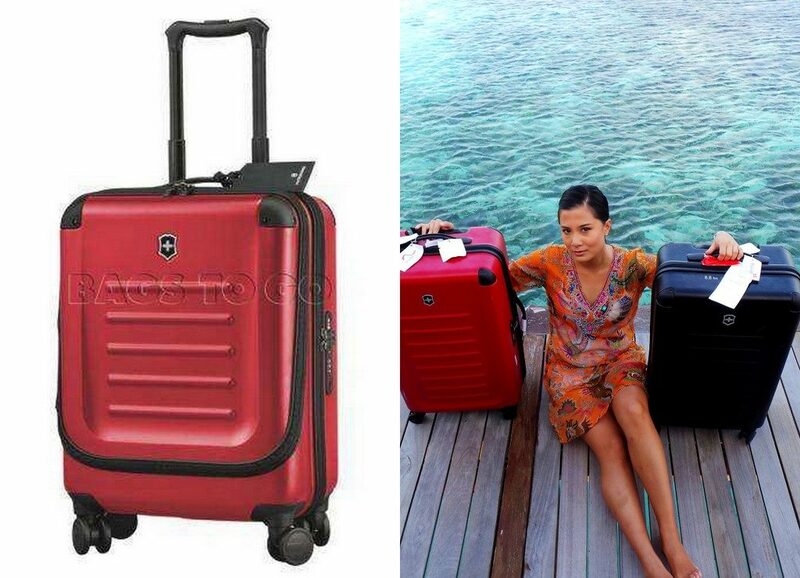 Again, the hardcase luggage will protect belongings (and shopping goods) from saltwater. Now this is the kind of bag I’d like to have just on ‘standby’ in my closet, in case of one of those out-of-the-blue weekend or overnight trips. It’s nice to have a an overnight/ weekender bag big enough to just stash your clothes and needs for 1-2 nights and go, but also compact enough to store in the car, or a bus or small plane. I liked this Oran Josh leather overnight bag because it’s the perfect size, has two options for carrying and also, you can’t go wrong with a classic brown leather colour! I’d just been on such a trip! I spent a couple of weeks in the Philippines doing a series of physical challenges, and for that kind of trip, only a tough, rugged, looks-like-a-backpack-but-NOT-a-backpack bag will do. I did take with me an Eagle Creek Load Warrior bag and it was excellent! 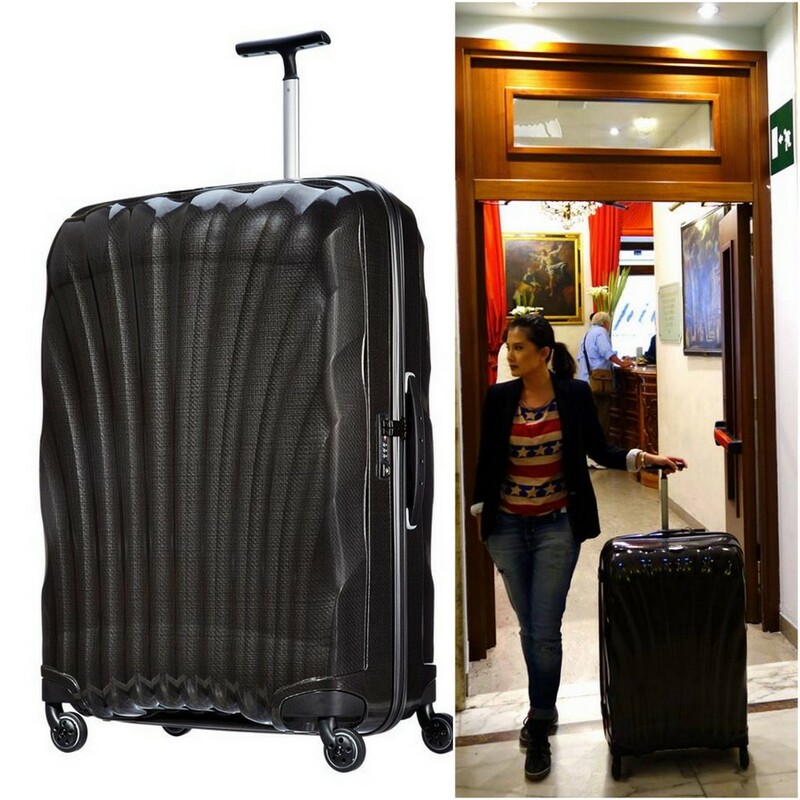 The wheels are made for off-roads (and not just smooth airport floor surfaces) and the zips and seams are really durable. I saw a similar Eagle Creek bag on the site, but it is probably a better model because it actually has an attached daypack that you can detach to use separately. There you go, my top bag picks for the different kinds of travel that I usually take. I’d love to know, do you have one go-to bag for all travels, or like me, do you match bags with your travels too? Thanks Jean im looking for two new suitcases and one handy carry one for a two month trip to Europe with hubby and friends, the samsonite Cosmolite looks good, lite, durable but….. We are hiring a car and I’m worried about the size, looks big, and being able to fit all the luggage in the car. Maybe one size down, …. But then will I fit in the stuff I need. I see you are planning a similar length trip to Europe, I’d be really interested in a blog about packing for an 8 week Europe trip in August September and not taking too much….. I was thinking outfits for 7 days plus two alternates for evenings. Also (though you may not be able to help) I’d like to also dress my man a little more stylish than the usual Aussie male tourist (ps we are from NT so when I say Aussie man ….you know what I mean). Hi Jan! You’re leaving soon! I’ll be away October-November, we’re a month away from each other. If you are hiring a car and you anticipate carrying a lot, I personally may think of getting a bigger car? (This is for me as there is no way I can travel for two whole months in a small luggage) But they key is to pack clothes that layer. The months you will be in Europe, the temperature is still pleasant and not cold so that already saves the problem or dilemma of packing coats and jackets. This one did make me smile… I usually take the same checked in bag, which is more your medium sized one than a large one, no matter how long I’m travelling for. It’s a bit of a packing challenge but at least I know I won’t have a chance of going over the weight limit unless I pack some rocks. But I’ve decided to give myself a packing break on my next big trip and am breaking out the big Samsonite. It’s mostly used for clothes storage these days (for the good old winter / summer wardrobe changeover) but it shall travel again! Oh yes, this time I’m not going to try to come up with two pairs of shoes that can work in Myanmar, Berlin and Ibiza. I shall take more! Yeah, I may end up paying a little bit in excess baggage fees, but this time I’m going to let myself just do it. Hi Amanda, we’re the same, I use the huge luggage to store winter clothes (or not in season clothes) . Yay for you giving yourself a packing break on your next trip! Those 3 places are so different temperature wise it’s hard to take “all in one” kind of clothing! I’ve never had a hard case but if I had the space, I would totally buy bags to match my adventure. I once had a big backpack with a detachable day pack which was so handy. I just bought a new Antler medium size case, it’s a soft one but super light which is just dandy – travelling light is an anathema to me! As for Hawaii, you totally need to go, it’s all kinds of awesome! Hi Sammie! Oh I feel the excitement for you (for the new suitcase) 😉 One day I really do need to learn how to finally travel light, but old habits are so hard to break! 🙁 Yes need to go to Hawaii soon, I feel like everyone’s gone but me! Yes, I have a few and need some more for the kids. I didn’t know this online shop so it’s very handy to hear about. The other thing I really need are packing cubes so will pop over there for a look. Have never ever used them – need to! Glad you now know of Bags to Go 🙂 They had a very catchy motto/ad song many years ago and it somehow stuck! Oh yes the packing cubes! A definite must, it really will change your travel life! Hi Monique, I do agree with your logic! If you are buying quality shoes, handbags and clothes, you would not want to damage them so you also need quality lugage 😉 I’vw yet to find my ultimate duffel bag! It’s always the shorter trips that I struggle to find the right luggage for I find especially staycations where I always look silly with a huge over sized case or have a tiny bag and end up putting 3 plastic carrier bags stuffed full of things in in the car! 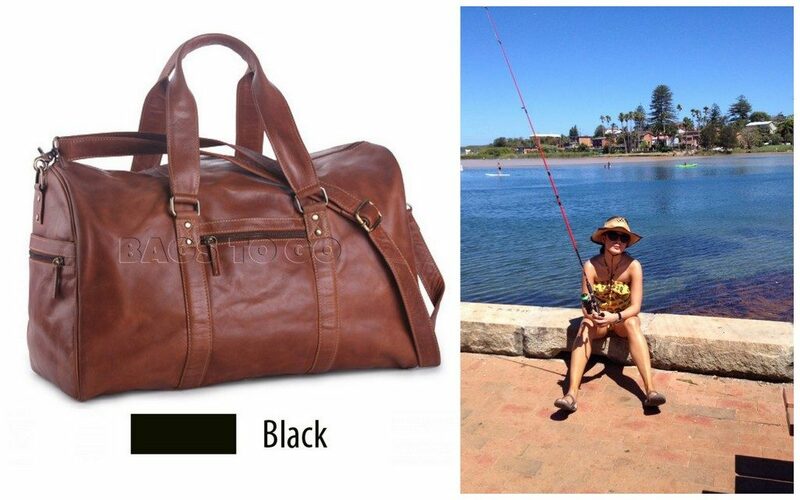 I really love the look of that brown leather staycation bag, looks so stylish and convenient!